The Alabaster-Pelham Rotary Club wishes to provide a gift in the amount of $1,000 annually for 2 years to establish a scholarship for a transfer student from Jefferson State Community College. The student must have received an Associate’s Degree from Jefferson State Community College, applied and accepted to the University of Montevallo. The student may be awarded the scholarship for up to 2 years. Purpose: To provide financial assistance to a transfer student from Jefferson State Community College. The student must have received an Associate’s Degree from Jefferson State Community College, applied and accepted to the University of Montevallo. Fund Details: The Alabaster-Pelham Rotary Club will provide $1,000 annually for two years to be used a scholarship for the University of Montevallo students. The scholarship will be given to 1 student annually in the amount of $1,000. 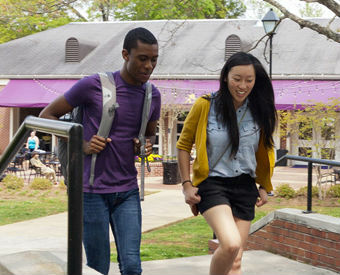 Recipients must have applied and accepted to the University of Montevallo. The student must have received an Associate’s Degree from Jefferson State Community College, applied and accepted to the University of Montevallo. The application procedure and selection of the recipient will be conducted by the University of Montevallo Scholarship coordinator.